Sweet and Sour Shrimp - Super easy recipe, better than takeout! 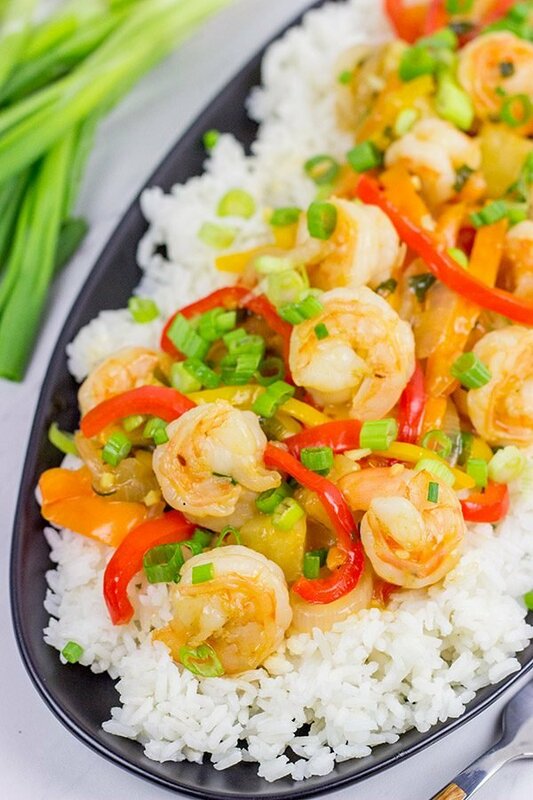 Skip the takeout and make this Sweet and Sour Shrimp at home! You’ll be surprised at how easy (and tasty) this is! I was sitting at the curling club recently chatting with some of my teammates after a game. This was a different night than I normally play, so I didn’t know the other guys all that well. We got to talking about food (imagine that! ), and one of my teammates told me how his niece worked for a company called Outstanding in the Field. I wasn’t familiar with them, so I pulled out my phone and took a quick peek at their website. Holy cow! Created by an artist and a chef about 20 years, Outstanding in the Field is all about taking the dining experience to the source. Instead of bringing the farm-to-table, they bring the table-to-farm. As they note, they’re basically the world’s first pop-up restaurant that pops up in the middle of a farm field. Picture eating dinner in the middle of a field at a table set for 200! The folks behind the operation have hosted events in all 50 states as well as 15 countries. Shifting gears a bit, let’s focus on a meal you can make at home. Sure, the setting might not be under the stars on a remote beach…but the food is still delicious! Sweet and Sour Shrimp is a classic take-out item, but it’s actually not that hard to make at home. They key to this recipe is doing all of the prepwork in advance. Have your onions and peppers sliced. Have your shrimp peeled and deveined. Have your green onions chopped and your garlic minced. (I like to do all of this prep while the rice is cooking.) 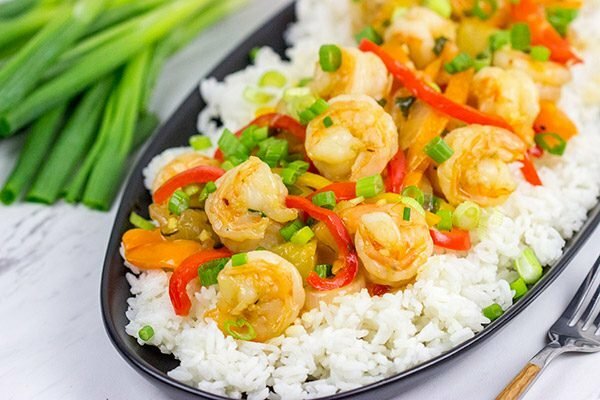 Once you get going, this Sweet and Sour Shrimp comes together in a jiffy! What is the Sweet? And What is the Sour? The sweet portion of this Sweet and Sour Shrimp comes primarily from the diced pineapples as well as a bit of sugar and ketchup in the sauce. 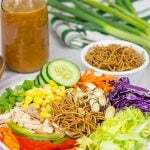 The sour portion comes from the generous amount of rice vinegar that gets added to the sauce. 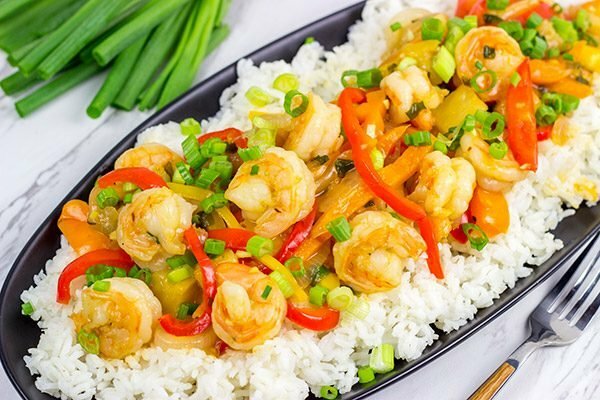 Together, the flavors meld into a delicious combination, and it’s easy to see why Sweet and Sour Shrimp is a classic menu item at Chinese restaurants. One bite and Laura proclaimed that she was over the takeout version! When you order sweet and sour dishes at restaurants, the chicken/pork/shrimp/etc is often fried before going into the final dish. I skipped that step and just cooked the shrimp in the wok along with the veggies and sauce. Nice and easy…and it saves on the calories, too. Considering that I’ve got a 3-year-old begging me to do puzzles with him, I’m all about keeping dinner nice and easy. I’m sure a few of you can relate to that, right? Cheers, friends! 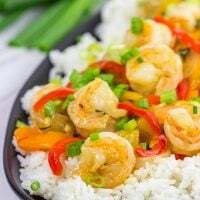 If you make this Sweet and Sour Shrimp at home, leave a comment and let me know! Or snap a photo and tag me on Instagram (@Spicedblog). 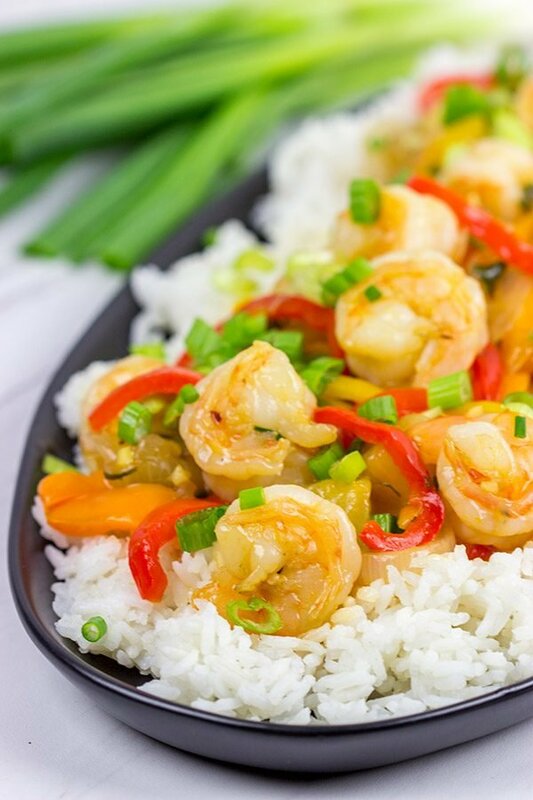 Skip the takeout and make this Sweet and Sour Shrimp at home! You'll be surprised at how easy (and tasty) this is! Using a small bowl, combine ketchup, pineapple juice, soy sauce, sugar and crushed red pepper; stir until well combined. In a separate dish, whisk together the vinegar and cornstarch. Add the cornstarch mixture to the ketchup mixture; stir until well combined. Set sauce aside. Using a wok or large skillet, add vegetable oil and place over medium-high heat. Once hot, add sliced onions and bell peppers. Saute, stirring often, for 2-3 minutes. Add shrimp and green onions; continuing sautéing, stirring often, for 4 more minutes, or until shrimp turn pink. Add garlic, ginger and pineapple; continue sautéing, stirring often, for 1 minute. Add sauce; stir and continue cooking for 2-3 minutes. 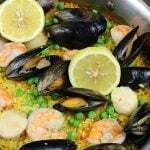 Garnish with additional chopped green onions and serve hot over cooked white rice. I used a can of pineapple chunks packed in 100% juice. That gave me both the pineapple and the juice needed for this recipe. That does sound like an amazing experience. I wonder what they do about the weather…. Sweet and sour is one of my favorites. This shrimp version looks delicious. So that question about weather just came up the other day when Laura and I were debating getting tickets to one of the Finger Lakes events. Apparently it’s rain or shine, but they have massive tents they set up to cover the tables. I’m sure that’s not an easy operation, but then again they do have to keep to a schedule. Can you imagine how fun it would be to travel the country/world doing that!? Thanks, Kathy! This sweet & sour shrimp is SO darned easy to make, too, Alexandra. I don’t mind spending time in the kitchen working on a fun recipe…but there’s something to be said for super easy meals, too! I hope you get a chance to try this one. It’s delicious! David, I had to look up Outstanding in the Field as well and WOW! They sound a bit like SecretSupper.co but there are quite a lot more options and they are exclusively on farms! Wow – what a fantastic dining experience! Interesting! I hadn’t heard about Secret Supper until now. It does indeed look similar. Laura and I seriously debated doing one of the Outstanding in the Field events in the Finger Lakes this year, but we decided to hold off. It’s definitely still on the bucket list though! Welcome back from your break…it’s great to see (err…read) from you again! 🙂 No leftovers for the drone this time, but at least the drone won’t get lost in a snow storm. It’s finally starting to thaw up here! 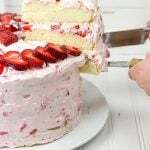 I can just taste this! Yum. So exciting to be catching back up with you after a long vacation. I’ve never heard of Outstanding in the Field but it sounds so cool! I’d love to have dinner in the shadow of Mount Fuji. Or maybe on the beach in Fiji :). And you know, I never knew where the sweet and sour flavors in sweet and sour sauce comes from. So interesting! Loving the sound of this shrimp! Hey, I don’t think you can go wrong with Fuji or Fiji! Laura and I seriously debated one of the events in the Finger Lakes this fall, but we decided to hold off. It’s on the bucket list still, though! (I think we might do Napa instead…we’ll see.) Thanks, Kelsie! I have heard of such table-to-farm events here in India, but they don’t host hundreds of people at a time. Still, it’s a great idea to spend some quality time with your loved ones. And those Shrimps look so fresh and delicious, David! Beautifully captured! It’s really unique to see these huge farm-to-table (or in this case, table-to-farm) events, Harshad. I’d love to go to one of these dinners! They sound awesome! Also, thanks so much for the kind words about this sweet & sour shrimp. 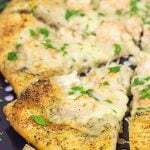 It really is an easy recipe that’s packed with flavor. David, we love sweet and sour at our house! Your sauce sounds amazing and I love the pineapple in the dish. I’m going to agree with Laura, this has to be way better than take out! Wow, Outstanding in the Field sounds amazing! I’ll be heading to that site as soon as I leave here. Such a cool idea! 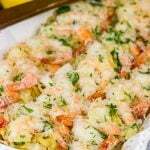 This shrimp dish looks SO delicious and your photos are outstanding! Such beautiful colors and flavors. We’re big shrimp lovers in our house and always looking for new, creative ways to enjoy it. 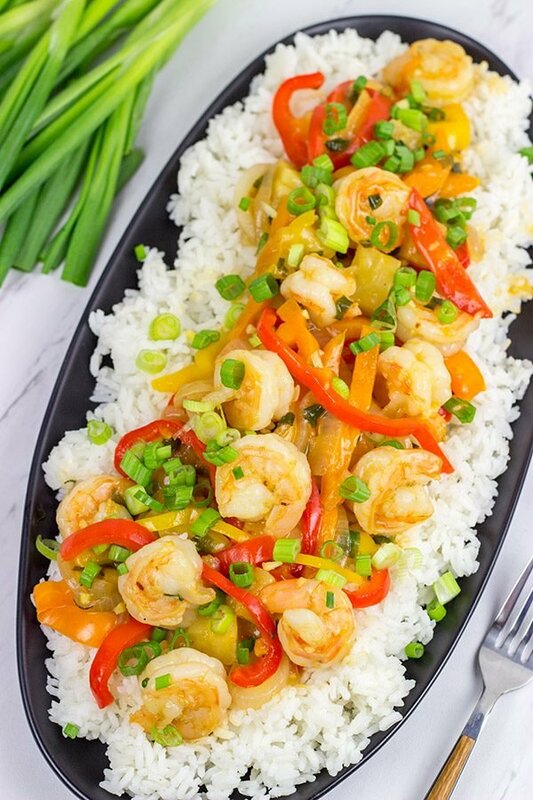 This sweet and sour shrimp fits the bill perfectly and so easy!! Definitely putting this on the menu! Definitely put this sweet and sour shrimp on the menu soon. It’s surprisingly easy, and it’s really flavorful, too. Thanks so much, my friend! Sweet and sour dishes I either like or really dislike, depending on how they’re made. This version looks very nice. It’s a great option to skip the frying to lighten the dish. And I see you have a nice, light touch with the sauce, too. I’m definitely right there with ya on the sweet and sour train, Frank. If it’s dripping with sauce, then I’m out. But this version turned out quite well! And it’s not even necessary to fry the shrimp. The flavor is already there! So you didn’t know about curling? It’s a fantastic sport, and it’s one you can play for your entire life! We have club members who are well into their 80’s. We’re wrapping up the season here soon, and while I’ll miss curling, I’m also ready for the warm weather! I love sweet and sour takeout dishes. The thing is I never seem to be able to get the sweet and sour sauce quite right. So, thanks for this recipe David. Can’t wait to give it a go! What a fantastic company and a great way to make a living. We’ve done the street eating festival at the “Copenhagen Cooking and Food Festival” and it was a blast. I think there the longest service tables in the world. Your Sweet and Sour Shrimp looks divine, our kind of dish. I don’t like the version where the shrimp are breaded and fried, so yours suits us well. Thanks for sharing. That Copenhagen food festival sounds awesome, Ron! Laura and I love a good food festival. In fact, Taste of Atlanta was one of our favorite outings back when we lived down there. I’m not sure if Albany has a Taste of Albany, but I suspect it wouldn’t live up to the standard set by Atlanta! 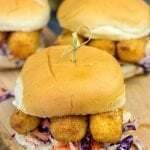 I hear ya on the breaded/fried shrimp. I do like fried shrimp, but I prefer it plain…with the flavorful sauce here, there’s no need to fry it! I hope you had a great weekend, my friend!